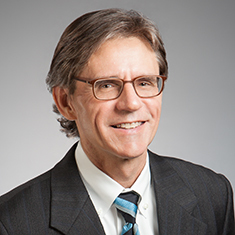 Danny Worrell focuses his practice on environmental contested case permitting and enforcement, Superfund litigation, and transactions and investigations involving environmental matters. He advises clients on regulatory compliance involving solid and hazardous waste, air quality, water quality, injection wells, underground and above-ground storage tanks, asbestos, polychlorinated biphenyls (PCBs), water and wastewater utilities, pesticides and pipelines, and in situ uranium mining. Danny previously worked as a geologist for the ARCO Oil and Gas Company, specializing in oil and gas exploration. While attending law school, he was a member of the staff of the Houston Journal of International Law. Danny has earned an MS and a BS in geology. Shown below is a selection of Danny’s engagements. Lead attorney in contested case hearing on air permit authorization for a concrete batch plant. Representation of client in settling federal Superfund litigation involving a former barge-cleaning facility. Lead attorney in contested case hearing on a municipal wastewater discharge permit proceeding that settled prior to the hearing on the merits. Assistance to client in successfully obtaining first Regulatory Flexibility Order from the TCEQ for use of the EPA Comparable Fuels Rule allowing substitution of fuels at chemical manufacturing facility. Lead attorney in an administrative contested case hearing and district court appeal. Successfully obtained renewal and new Class 1 hazardous waste injection well permits from the TCEQ. Assistance to client in successful settlement of product liability litigation relating to oil well cementing operations. Representation of clients in settling state Superfund cases involving a former scrap metal recycling facility, a former toll chemical manufacturing facility and a former electrical equipment refurbishing facility. Representation of client in administrative contested case hearing involving amendment to production area authorization for in situ uranium mining permit before the Texas Commission on Environmental Quality. Representation of clients in settling claims associated with federal Superfund litigation cases involving a former tin smelter and a former industrial waste disposal facility. Lead attorney in contested case hearing on application to obtain a Municipal Solid Waste Type I landfill permit from the TCEQ. Lead attorney in administrative contested case hearing and district court appeal. Successfully obtained a Texas Pollution Discharge Elimination System permit for a municipal wastewater discharge. Representation of client in administrative contested case, district court and appeals court proceedings involving major modifications to Class 1 non-hazardous injection well permits from the TCEQ. Lead attorney in administrative contested case hearing and appeals before the Travis County District Court and Texas Eleventh Court of Appeals. Successfully obtained a Texas Clean Air Act preconstruction permit for an 800 megawatt coal-fired electric generating facility with a CO2 capture unit. Understanding the New Corrective Action Management Unit (CAMU) Rule and its Impact on CERCLA Projects, in Operating Under RCRA and CERCLA Requirements, sponsored by Executive Enterprises, Inc.